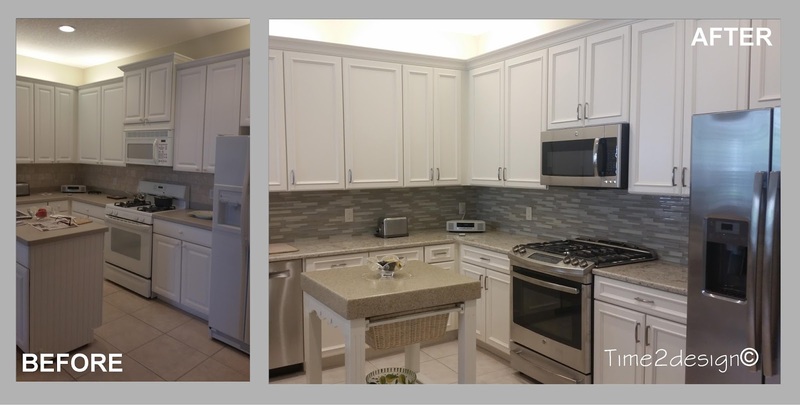 This kitchen remodel is a perfect example of how simple change can create a very stylish and updated kitchen. Kitchen resurfacing, also known as 'cabinet refacing' or 'kitchen refacing', is often times a less expensive alternative to conventional kitchen remodeling. 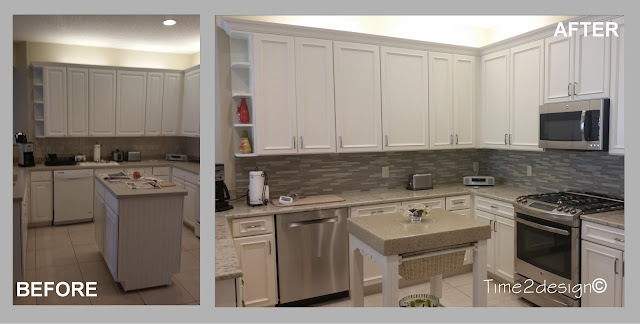 Cabinet boxes and frames of existing cabinetry is kept intact and refinished to match new, pre-finished, cabinet door and drawer fronts. This stylish kitchen was resurfaced, or 'refaced', by first removing the old cabinet door and drawer fronts. 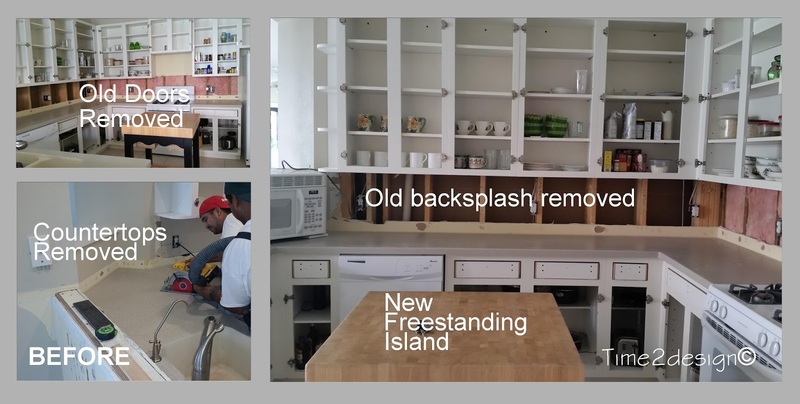 We then made a few modifications to the existing cabinetry, necessary to accommodate the new appliances, tore out the cumbersome island cabinetry and in the process also took out the old dull backsplash and well worn and stained countertops. 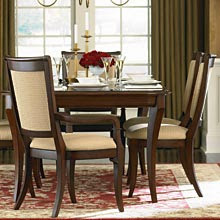 Once everything was removed we were set to refinish what was left. 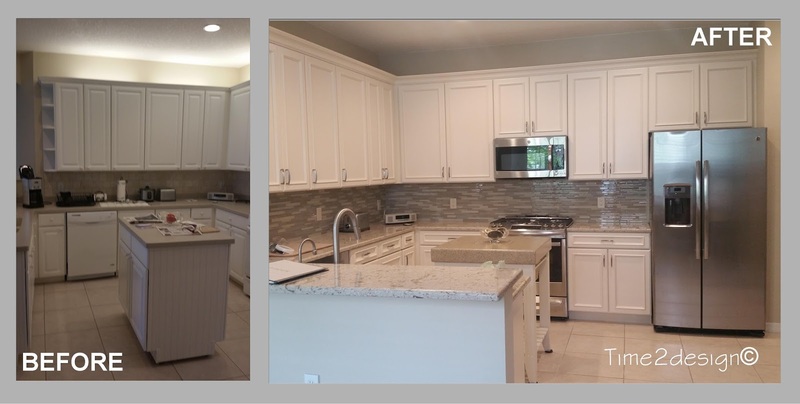 The cabinet boxes, face frames and all exposed edges were then refinished to match the new color selection. And once this process was completed we installed the new door and drawer fronts along with new crown molding to match the updated style of the new door fronts. 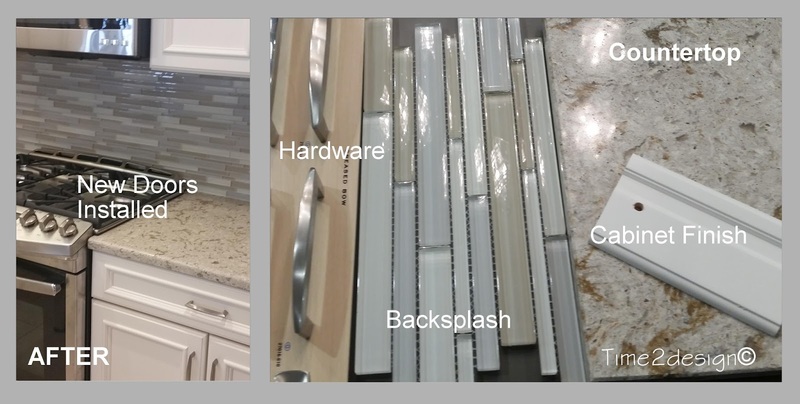 The new stainless steel appliances were installed and the kitchen was completed with new cabinet hardware, a new free standing island finished to match the cabinetry, new Cambria quartz countertops and a beautiful new glass tile backsplash. 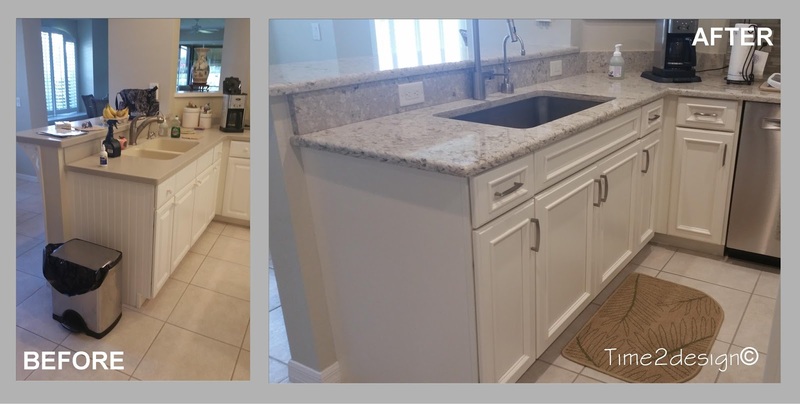 Overall a few simple changes created this stylish upgraded kitchen.